Installing exterior window shades can significantly lower costs of cooling in your home. It also serves to create a pleasant atmosphere for your sunrooms and patios. They are generally made using solar shade fabric that stops the sun’s heat from hitting the window. This reduces heat transfer within the house and keeps the rooms cooler. Exterior window shades also reduce glare from the sun and help to block UV rays without you having to lose your view. 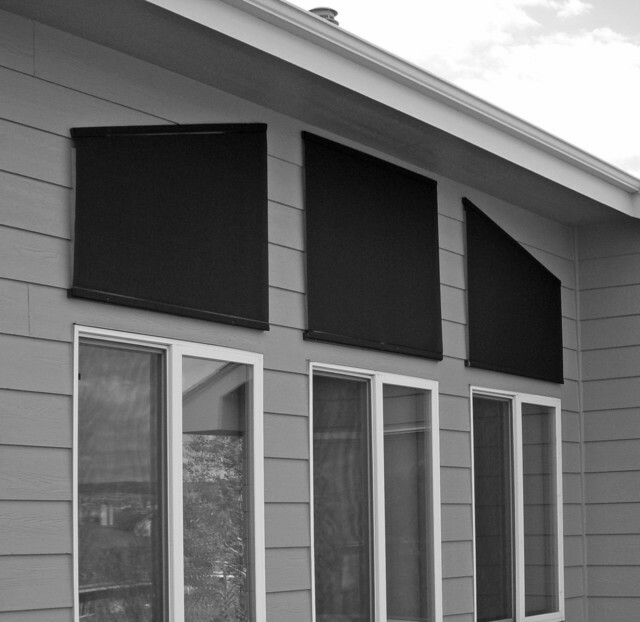 Also known as patio shades or porch shades, they are easy and convenient to use. They operate on a continuous cord loop system, which remains the same height regardless of the position of the shade. As far as light control is concerned, screen materials allow more light to pass through and offers more visibility. However, it all depends on the percentage of openness chosen. Also known as opacity, it changes the character of the your outdoor window shades to suit your preferences. They offer privacy during daytime while not compromising your view. Loosely woven shades allow air to pass through as well as increase visibility. The shades can either be mounted directly over a door or window or it can be spaced away from the door. You can order these kinds of shades according to the measurements of your windows. When open, these shades leave the windows completely unobstructed. They can also be used as an additional shade over your regular window treatments like blinds or curtains in order to provide adequate sun blockage. It also increases the durability of the indoor window treatments. They dress up the look of a patio or sunroom and can provide privacy in bedrooms during outdoor entertainment. The most popular reason for using exterior shades is the substantial lowering of cooling costs during summers.